Originally published June 14, 2012 in PQ Monthly. 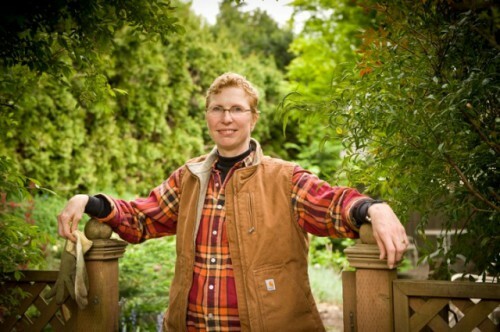 Since receiving a terminal cancer diagnosis in 2010, Rural Organizing Project Founder Marcy Westerling is focusing on passing her wisdom on to a new generation of organizers. Photo by Ken Hawkins, Street Roots. Marcy Westerling never intended to start the Rural Organizing Project. But in the early 1990s, as the reactionary right in rural Oregon began increasingly scapegoating LGBTQ people, she knew something needed to be done. The OCA was campaigning for Measure 9, a “no promo homo” initiative to change the state constitution that attracted national attention. Rather than encouraging the isolated queers of rural Oregon to take on the OCA alone, thereby by jeopardizing their safety, Westerling started seeking out allies to build strength in numbers. Though Westerling had been involved in conversations about homophobia through her work in the non-violence community, Measure 9 was a tipping point. Though the initiative failed to pass, subsequent campaigns by the OCA would put Westerling’s crisis-management skills to the test. “There were so many cycles of ballot measure that that was a pretty long period of time that we went from crisis to crisis to crisis,” she says. The ROP also lost two of its organizers in 1995 — Roxanne Ellis and Michelle Abdill — to a murder motivated, at least in part, by anti-gay bias. Despite the onslaught of anti-gay attacks, the ROP maintained a broad vision rooted in democracy. Using experience gained as an organizer with the Association of Community Organizations for Reform Now (ACORN), Westerling built a network of independent human dignity organizations in rural communities across the state, united in their commitment to uphold the democratic values of majority rule, minority rights, an informed and educated public, and an adequate standard of living. ROP found an early ally in the farm workers union PCUN (Pineros y Campesinos Unidos del Noroeste) and newly-formed immigrant rights organization Causa. “It behooves the queer community to look at who else is vulnerable for being scapegoated and say, ‘We remember what that’s like, that’s bad, and we have your back,’” Westerling says. While the approach de jour of LGBTQ advocacy groups is “changing hearts and minds,” Westerling prefers to focus on advancing the values of democracy instead of pushing for acceptance. It’s easier to build a bridge when both sides are standing on common ground. In that spirit of democracy, Westerling has committed herself to preserving the organization’s grassroots approach and serving on the frontlines alongside the organization’s many volunteers. (ROP’s paid staff fluctuates between three and five people.) Though she is no longer on staff, Westerling continues to dedicate herself to the cause of rural community organizing. These days, however, her health requires that more of that work happen in an urban setting, often behind a computer. Westerling was diagnosed with metastasized ovarian cancer — considered a terminal condition — two years ago and moved to Portland to be closer to her doctors. She is straightforward about her declining health and her struggle to accept what that means for her organizing work. In 2010, Westerling was granted an Open Society Fellowship. She originally intended to use the fellowship to map rural progressive infrastructures in four states in an effort to build alliances and strengthen the individual efforts of isolated civic organizations. Because her health makes travel difficult, she has shifted focus to mentoring young organizers, documenting the history of ROP, and serving as an adviser to the organization. With such a legacy of community organizing behind her, what words of wisdom does Westerling have for the next generation? Learn more about the Rural Organizing Project by visiting www.rop.org.